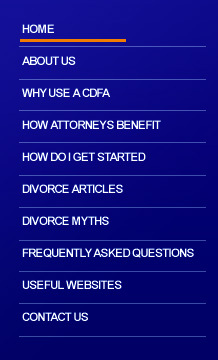 Q: Will I be able to receive alimony? A: The tests for alimony (or maintenance or spousal support) include some of the following, however, keep in mind that no two cases are the same. You need to seek individual advice in order to determine how the specifics of your case may impact your ability to receive alimony: · Need - Can you support yourself with earned income plus investment income? · Ability to pay - Does the payer of alimony have sufficient funds to pay? · Length of marriage - A long-term marriage (10 years or more) is typically a stronger case for the lower-earning spouse. · Health of both parties. Q: Will I lose my pension? A: Pensions and retirement plans are marital assets. Depending on the state you live in, the portion that was earned before your marriage could also be considered a marital asset. However, it is possible to keep your pension and have it offset with other assets. Q: Should the custodial parent keep the house? A: This is a great question, because it's one of the most important overlooked questions. The answer is sometimes yes, sometimes no. It's important to pinpoint exactly what it will cost to maintain the home, factoring in taxes and inflation. The next step is to analyze if there is enough money coming in to stay comfortable in the home (in other words, pay the bills each month). Once that has been determined, the advisability of retaining the home must be compared to the advisability of giving up other assets (such as liquid accounts, retirement plans, etc.). Finally, all decisions need to be weighed against current economic and stock market conditions. Certified Divorce Financial Analysts™ are trained to help people answer this question before they commit to a settlement that cannot be changed. Q: What if I bring a house into the marriage that is in my name only, and I add my spouse's name to the deed? A: In this case, the whole house could be considered marital property. You might have made a "presumptive gift" to the marriage and should consult with a family law attorney to discuss your options. Q: Is my IRA considered marital property? It's in my name only. A: Everything acquired during the marriage, no matter whose name it's in, is typically considered marital property. In some states, the increase in value of separate property could also be considered marital. If you are going through a divorce, it would important to evaluate the financial drawbacks to having your IRA included in the list of assets you retain, post divorce. Remember, the funds in the IRA cannot be accessed before 59 1/2 without paying a 10% penalty for early withdrawal. Q: I have never worked. Can I get Social Security? A: If your spouse has worked and if you have been married for 10 years or more, than you are entitled to one-half of your spouse's Social Security or your own, whichever is higher--even if you are divorced. Your spouse still retains 100% of his/her Social Security benefit. This is an automatic guarantee and therefore it is not a negotiation point in a divorce. Q: How do we figure how much child support should be paid? A: Every state has Child Support Guidelines that are mandated by the State. However, the Guidelines get tricky when one (or both) spouses is an independent business owner who can control their wages. In this situation, it typically helps to bring in a financial or tax expert who can help determine the true potential income of the partie(s). A: Only if you can't reach an agreement. Then, a court date is set and a judge hears the case. Less than 2% of all divorce cases go to trial in the United States. Q: What is a QDRO and why do I need one? A: A QDRO (or Qualified Domestic Relations Order) is the legal document that divides up a qualified pension or retirement account (including 401k's) pursuant to a divorce. The Judgment of Divorce is not sufficient to divide up qualified plans, a QDRO is needed. There are many nuances that go into QDRO's and make it an advocating (versus neutral) document. In order to protect your assets, be sure to obtain qualified advice in this area from a specialist. * Disclaimer: CFP® Board does not endorse or otherwise approve any specific certification programs and CFP® Board's listing of any certification program does not constitute an endorsement or approval of that program.